Scientists in California have developed a portable artificial kidney. It soon could save patients suffering from chronic renal failure from hours and hours of treatment in dialysis centers. 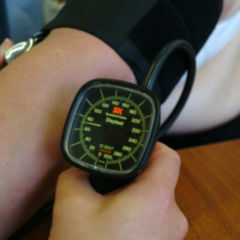 In an initial test, the suitability for daily use was tested now on affected patients. Many people suffering from permanent renal failure involuntarily remain true to their residence. Their mobility is considerably restricted since they normally have to go three times a week for several hours to a special facility for hemodialysis. A portable artificial kidney developed in the US is supposed to bring back more action leeway to affected persons. For the first time, the device is currently tested in the UK on patients. Although it proved to be secure largely, it showed to be less efficient compared to hemodialysis with a stationary machine. Eight patients with renal failure at the Londoner University College Hospital each tested the about five-kilogram device developed by Xcorporeal in Los Angeles once. It is carried with a broad belt around the hip and contains – in addition to the dialysis chambers – several security systems signaling if there is any problem such as for example bubbles or developing of any blood clots. A pump powered by a nine-Volt battery transports blood into the chambers and back into the body. The patients cleaned their blood four to eight hours a day with this device. 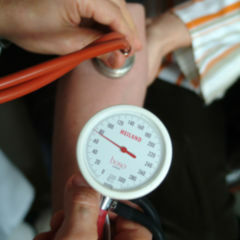 As the team of scientists of Andrew Davenport reported in the professional magazine The Lancet, blood pressure, pulse, heart rate, acid-base-balance and amount of electrolytes remained stabile in all patients. All test persons were satisfied with the treatment and would recommend it to other patients. But the efficiency of the device is not very high. It pumps the blood five times slower than conventional machines thus not being able to remove contaminates and fluid from the blood as fast. Nonetheless, the authors express their hope that at the bottom line, the new development could be more efficient than traditional machines – if used by the patients for several hours day by day. German experts are rather skeptical: "The mobile device cannot replace the hemodialysis made with stationary machines", says Jan Galle, spokesman of the Gesellschaft für Nephrologie (association for nephrology) and director at the hospital for nephrology and dialysis procedures at the Lüdenscheid clinics. "At the moment, the efficiency is just not high enough to grant a complete decontamination." However, in certain cases it might add to current hemodialysis. Gall: "Among the dialysis patients there is a certain number still carrying on their profession. They could for example go on a business trip for several days and could gain more mobility." 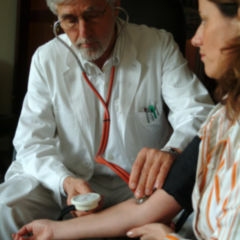 About 60,000 people depend on artificial hemodialysis in Germany. Up to now, the dialysis can only partially replace the function of the kidneys. Since normally the blood is decontaminated and dewatered only three times a week, patients most of all suffer from weight- and high blood pressure fluctuations straining the body enormously. 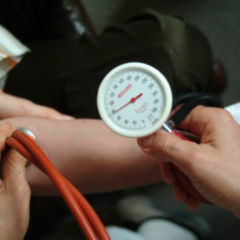 After several years, the patients experience damage such as atherosclerosis, cardiac diseases, bone- and joint damages. To reduce the long-term damages it would make sense to clean the blood daily – like healthy kidneys do. A daily dialysis with stationary machines taking several hours would make it impossible for the patient to lead a normal life. Only a mobile device like the one made by Xcorporeal enabling the patient to carry it during work or at home could make the daily dialysis suitable for daily life. However, before this vision turns into reality, the engineers of the company have quite a bit of work to do. Because the portable dialysis device proved to be vulnerable to technical errors during the study. In two cases, carbon dioxide bubbles developing during the decomposition of urea disturbed the circulation of the dialysis fluid. 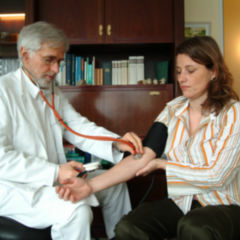 Two other test persons developed blood clots in the access of the blood vessels. On one patient, the needle disengaged and the blood flow was interrupted. Those mishaps did not cause any serious damage – in all cases the built-in security systems immediately cut off the pump. "For regular use the failure frequency clearly is too high", judges the German expert Galle. But Victor Gura, scientific member of the board of Xcorporeal and inventor of the device is optimistic that the error rate of the device can be resolved: "We are just now enhancing the prototype to a version ready for marketing. We will test its security and efficiency this year with a larger number of patients over a longer period of time."